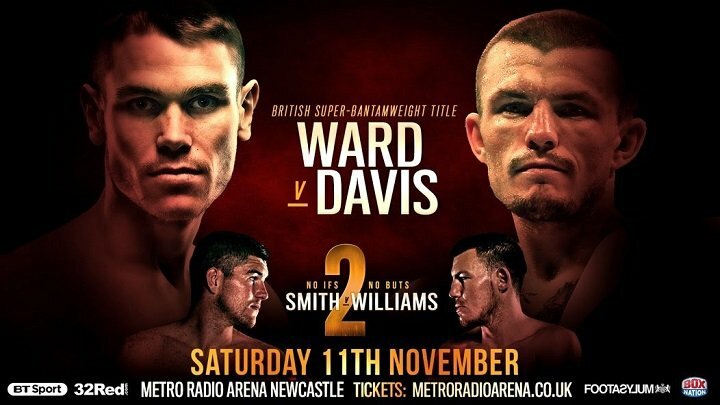 Glynn Evans finds out more about one of the most gifted reigning British champions who defends his super-bantam belt against Birmingham hard case Sean ‘Showtime’ Davis in Newcastle on Saturday week, live on BT Sport and BoxNation. How did you first become involved in boxing? I came across all the other fighters from the traveling community – like the Furys and Billy Joe Saunders – at the horse fayres and, from an early age, my family knew who they were, their families knew who we were. I’m the youngest of five. My eldest brother Martin (the former IBF bantam challenger) first visited the Birtley ABC boxing gym when he was 11, and though I was five years younger, I followed along and immediately fell in love with the sport. It became a huge part of my life from my earliest years, teaching me discipline and respect. Boxing made me grow up fast. You were one of Britain’s most decorated junior boxers of the last decade. What precisely did you achieve? All told, I had 64 contests and I won 60. I won a national schoolboy title, two junior ABAs, two National Boys Clubs titles and four British junior titles. At international level, I was a bronze medallist at the European schoolboys tournament in Serbia, then gold medallist at the European Under 17s in the Ukraine. I defeated a lad from Armenia in the final. Wow! What were the keys behind that success? Firstly, I have to thank my coach Graham Rutherford for investing so much time and effort into me. I always listened because I was keen to learn new things that would make me even better. I’d also study great fighters like Hatton and Mayweather. Even these days, I scrutinise Jorge Linares and ‘Canelo’ (Alvarez). Other than that, I just think, I’m naturally quite fast and I seem to read things better than opponents. I always seem one step ahead. You turned professional just two months after your eighteenth birthday. With so much money available to top ‘amateurs’ these days, weren’t you tempted to stay on for a crack at the Olympics or the WSB? Nah, I never saw that side of the sport. I even never boxed as a senior, in the amateurs. Our Martin was a pro at Neil Fannon’s gym in Hartlepool and I put all my trust in Neil to guide me through, which he’s done. He and my manager Dave Garside really look after me. They kept me busy and unbeaten and when Frank Warren offered a promotional deal late last year, it was unbelievable. I started really young from the bottom and now I’m British champion at just 23. Coming through, you boxed eight four rounders and ten six rounders. Was that necessary given your youth? Probably. Neil and David brought me through gradually, level by level, but the whole time I was also sparring top class champions like Scott Quigg, Josh Warrington and Jamie McDonnell at the gyms. I was very hungry, very eager. Neil’s a very good teacher and I’m a very good listener. Your perfect 21-0 CV lists just three stoppage wins. Will you be able to fend off the champions at elite level? My ‘man strength’ is still developing and I’ve a while yet before I hit very top level. But already I hit hard enough to earn any one’s respect. My timing and accuracy make opponent’s sore and send them into survival mode. I don’t knock people cold but I break faces up. If they keep coming, they eat a lot of leather. That said, I’ve always preferred to box and move. Taking shots makes no sense to me. How was your mindset going into your British title challenge last May, at such a young age and against such an accomplished champion? I expected it to be hard. We knew Jazza (Dickens) was good – only two world class lads had beat him – but I’m confident of victory going into every fight. I know what I’m capable of. That said, it was my first fight on the tele and I felt a lot of pressure to put on a show for those who’d heard about me but not seen me. That brought a certain buzz. (Ward bagged a nine round technical decision after an accidental head clash left him cut and unable to continue). Did the inconclusive ending diminish your sense of achievement? Yeh, it took a bit away. The fight was going how we planned and I’ve no doubt I’d have seen it through but I wanted to prove that I could go 12 rounds in good class because I had plenty left in the tank. People forget, I had Jazza on the back foot in round nine before the stoppage. But there was nothing I could do about it. You’ve fought in Newcastle five times before, twice at the Metro Arena. How have you been received by the Geordie fans? It’s a very nice venue and those Geordie fans certainly understand their boxing. They treat me well. It’s a fantastic bill and if I wasn’t boxing on it, I’d pay for a ticket myself. I’ll be bringing more than a hundred fans up and quite a few of those are ringside. Hopefully, Frank will bring more big shows up here and I can benefit from the exposure. What do you know of challenger Sean Davis? Very little. I seldom watch opponents. I leave all that to Neil and he comes up with the tactics. I’ll stick to his plan and do the business. I’ll just prepare the best I can with the confidence that I have the ability to beat anyone. I’ve had fantastic sparring with Jamie McDonnell and I’m in great shape. We’re two weeks out but I’m ready to go now. My boxing skills will be too much on the night. They say he’s very tough but so am I.